BOBCAT #E26 : 23 HP KUBOTA DIESEL ENG. : MAX DIG DEPTH 8'6"
HGT. 8' : WIDTH 5'2" : LGT. 14'3" : WT. 5770 LBS. RATED LIFT CAP. W/ BLADE DOWN OVER END 1900 LB. TO 36"
RATED LIFT CAP. W/ BLADE DOWN OVER SIDE 550 LB. 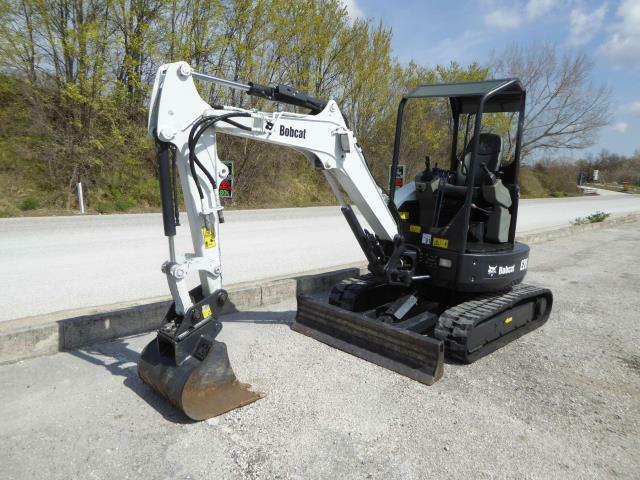 TO 36"
* Please call us for any questions on our excavator mini 8 foot 6 inch rentals in Cincinnati Ohio.